CrazyTalk 8 is finally here! 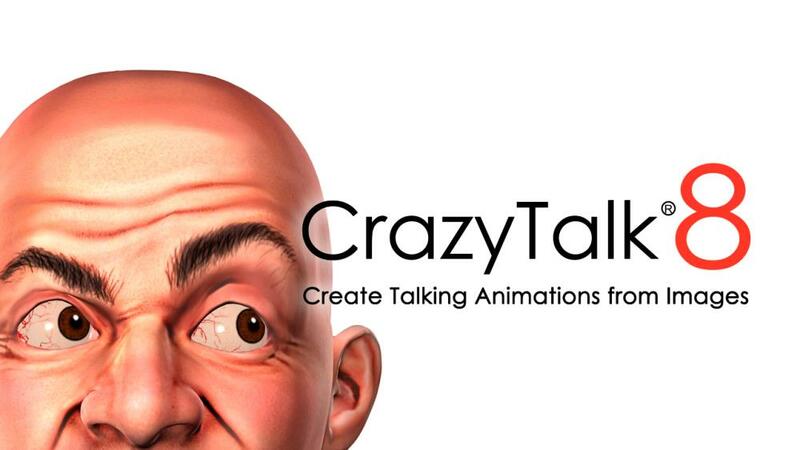 This whole new version of CrazyTalk 8 continues with all the great 2D stuff that you always loved about CrazyTalk, but it also brings a trove of updated features that allow anyone to create highly detailed 2D and 3D head figures from either front or side profile images, effectively advancing the capabilities of realistic head creation, while allowing users to export 3D heads and talking scripts from CrazyTalk 8 Pipeline to iClone 6, Character Creator, and any other 3D tool for full-body animations! Find out more by visiting CrazyTalk 8 Homepage HERE! To see how CrazyTalk 8 Pipeline's 3D Head Creation can be applied to iClone 6 and Character Creator avatars, check HERE! If you have technical issues, or you want to see a list of known issues, visit the forum thread HERE! To start learning CrazyTalk 8, watch our online video tutorials HERE! Sorry. I am not sure how this forum works exactly. How do I DL my presale version of Crazy Talk 8 Pipeline? I got the email and the serial number for Windows but it says Download is N/A. How do I DL my presale version of Crazy Talk 8 Pipeline? I got the email and the serial number for Windows but it says Download is N/A. You can logon to your account at the Reallusion site (not the forum). You should be able to access all your software (including any bonus and resource packs) from your "Member" page. OK. I found the problem and everything downloaded ok finally. Now the problem is that the Party Fun i purchased wont install to Crazy Talk 8 unless I pay for it AGAIN. How do I get a simple upgrade for that? I made the purchase a few weeks back when I was first notified about it. Got CT8 + bonus downloaded and installed fast and without any problems. Running fine now and looks great. Happy weekend, folks! I still have n/a for my preordered Crazy Talk 8 Pro in my download area, when logged in. Contact the Sales department or put in a Support Ticket. The Mac version is still on course for a release before the end of the month. Not long to go now.